In the second decade of the 21st century, there is a certain consensus that architecture has a close - rather ontological - relationship with politics. However, when we ask which political option certain architecture defends, debate sparks off. The following selection of ten projects includes those cases where creation, opening, and formalization of spaces - what architecture does - has been a way of approaching an ideal of social justice. Justice is not a matter enclosed within the boundaries of the social sphere. Space produces and reproduces power, capital, class and cultural relations - just to name a few. In space, thus, conditions of opportunity for some and marginality for others materialize. Within this arena where huge forces struggle, the role of architecture seems minor - although it can have transformative effects if it manages to make room for equity. Designing for social justice, for a public project of space, entails big challenges that push the task beyond the limits of convention. Political awareness of the social role of architecture can be read in the historical incidence of prominent architects in the provision of social housing. In large-scale operations, such as Villa La Reina, or in more precise and experimental strategies, as Quinta Monroy, mobilization of knowledge has been aimed at improving the living conditions of the most vulnerable ones. Such works answer, in general, to political commissions of larger agendas, where architecture must learn how to go along with the same discretion of a musician within a big orchestra. As a general rule, works are designed to minimize economic resources and maximize their possibilities. 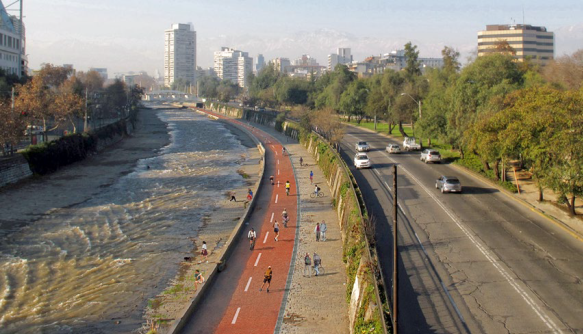 The rational features of practice are challenged to harness the potential of what already exists, as in the strategy of turning the Mapocho River into a cycle road. Sometimes the commission also entails the difficult task of founding places of hope in precarious and deteriorated landscapes, as in the case of the libraries in Medellín, the Residencial Parque Novo Santo Amaro V - in the heart of São Paulo’s favelas - or the MINVU’s Urban Parks Program in the 90s. The effects of these works must be perceived beyond their objective and theoretical limits, recomposing not only the place’s physical landscape, but also the affective relations of citizens with their surroundings. Thus, projects such as the Rehabilitation of Unión Obrera at Cordillera hill advocate for the dignity of a community’s memory. Although design is a decisive factor in the sense of appropriation that people profess for spaces, creative freedom must be balanced in order to facilitate a political management that preserves them over time. 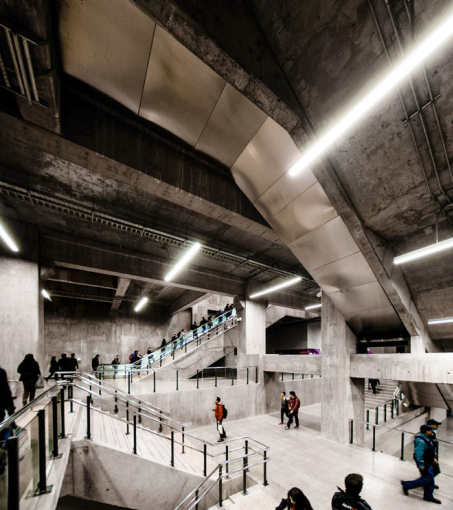 Sometimes works are at the edges of discursive presence, either because of their subtlety or for being discreetly subsumed in a morphology that observes technical problems, as in the case of Santiago’s subway Line 6. On the other hand, the work aimed at the public must play by the rules of speculation and meet the requirements of an anonymous - but nevertheless present - user. An architecture that must learn to lower its voice in a scenario where others are the main characters. 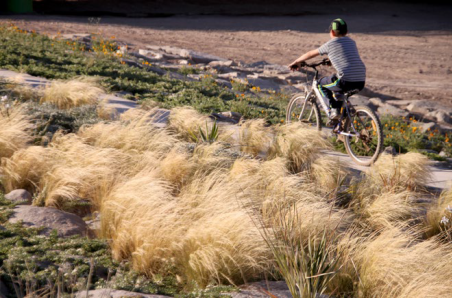 Sometimes, architectural image is pondered until becoming a language of natural reassembling - as it happens in Kaukari park’s landscape strategy, which recovers the Copiapó river for the city. 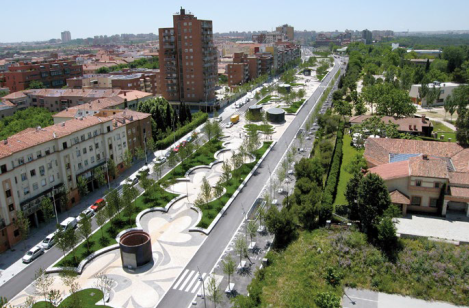 On other occasions, language works as a declaration of strength, especially when public projects build gestures of justice by rescuing territories removed from urban life - as the Manzanares river park that covered the M-30 motorway in Madrid. The works that aspire to build justice in space materialize an ethic of discrete but strategic objectives, where architectural thinking has more dimensions than those of the built artifact. Figure 1 Villa La Reina. Project team: Municipalidad de La Reina, Pontificia Universidad Católica de Chile, INACAP y futuros pobladores, 1966. Figure 2 Programa de parques urbanos en Santiago. Project team: Sergio León, Pablo Trivelli, Francisco Schmidt, M. Angélica Alvarado, M. Teresa Ugarte, M. Isabel Alonso, A. María del Valle, 1993. Figure 3 Quinta Monroy. 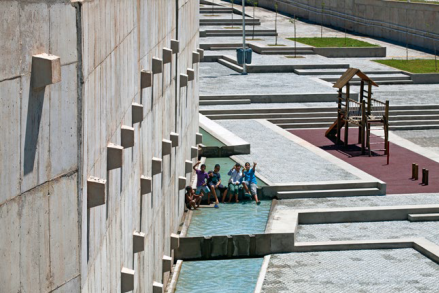 Alejandro Aravena, Alfonso Montero, Tomás Cortese, Emilio De la Cerda, Andrés Iacobelli, 2004. Figure 4 Rehabilitación Unión Obrera. María José Castillo, Raúl Araya, 2008. Figure 5 Dos bibliotecas en Medellín. Giancarlo Mazzanti, 2007. Figure 6 Parque Río Manzanares. Burgos & Garrido Arquitectos s.l., Porras & La Casta Arquitectos S.C.P., Rubio & Álvarez-Sala Arquitectos, West 8 - Urban Design & Landscape Architecture B.V. 2011. Figure 7 Residencial Parque Novo Santo Amaro V. Héctor Vigliecca, Luciene Quel, Neli Shimizu, Ronald Werner, Caroline Bertoldi, Kelly Bozzato, Pedro Ichimaru, Bianca Riotto, Mayara Rocha Christ, Fábio Pittas, Thaísa Fróes, Aline Ollertz, Sérgio Faraulo, Paulo Serra, Luci Maie, 2012. Figure 8 Mapocho pedaleable, Santiago, Chile. Tomás Echiburú, Osvaldo Larrain, 2013. Figure 9 Línea 6 del metro de Santiago: bajo el lente de un usuario. MOBIL Arquitectos, ACXT Arquitectos (IDOM), 2017. 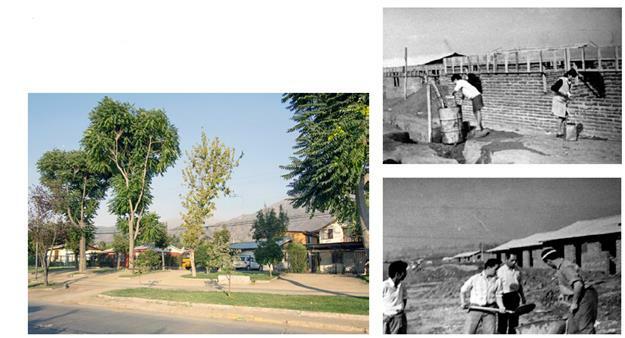 Figure 10 Parque Kaukari del río Copiapó. Teodoro Fernández Arquitectos. Teodoro Fernández, Paulina Courard, Macarena Gaete, Milva Pesce, Benjamín López, 2018. Architect, Master in Architecture and Doctorate in Architecture and Urban Studies, Pontificia Universidad Católica de Chile. Director of Research and Publications, Faculty of Architecture and Design, Universidad Finis Terrae. Her lines of research relate to urban history, public space, landscape and memory. She teaches courses on theory and practice of urban planning in various universities in Chile. Likewise, she has professional experience related to the design of public spaces.